You’re never all by yourself as long as you have the ancestral dream. This reassures you that many others, just like you, have built their own log homes; therefore, you can too. In actual practice, you’re never really alone. To be independent does not mean that only you must do every bit of work, little or large. This is not a competition. You will find that another person, or your whole family, or a dedicated group will stand by to help you. Do as much as possibly by yourself because this provides you with a single-minded purpose. For example, if a contractor is involved, a new purpose is added: his purpose may be profit, or convenience in his work schedule, or experimentation using your log house. Be aware of that and keep your own purpose clearly in mind You’ll know very early that the real reason you need a log house is to heal or strengthen your soul by providing a true place for your heart to touch (ever so gently) nature, to which we are all connected. If you believe this, as I do myself, then you will agree that it’s necessary to experience as fully as possible the hard work, the sweat and blisters, the worry, the thrills, the hopes and the pride of accomplishment in your new log home. If you allow someone else to do much of this work, you will give away part of that wonderful opportunity to stand close to your ancestors. You will feel, too late, that you have been robbed of your chance to bond with the nature of the experience. But if you perform most of the work all by yourself you come that much closer to realizing your goal of working in harmony with nature. Can you, one small person (even with a family of helpers), expect to build a log house to a good standard of quality? My answer is “yes you can,” even though there are big logs to be lifted, logs you cannot budge. There are dangers from the machinery, from the sharp tools, the unfamiliar heights, the weight of the logs, even the costs. Many have done so: thousands of people. Some were in their mid-seventies; some were children. Men and women alike, they built with logs, and in the process built up their inner strengths. You will, of course, need those strengths as the months go by. 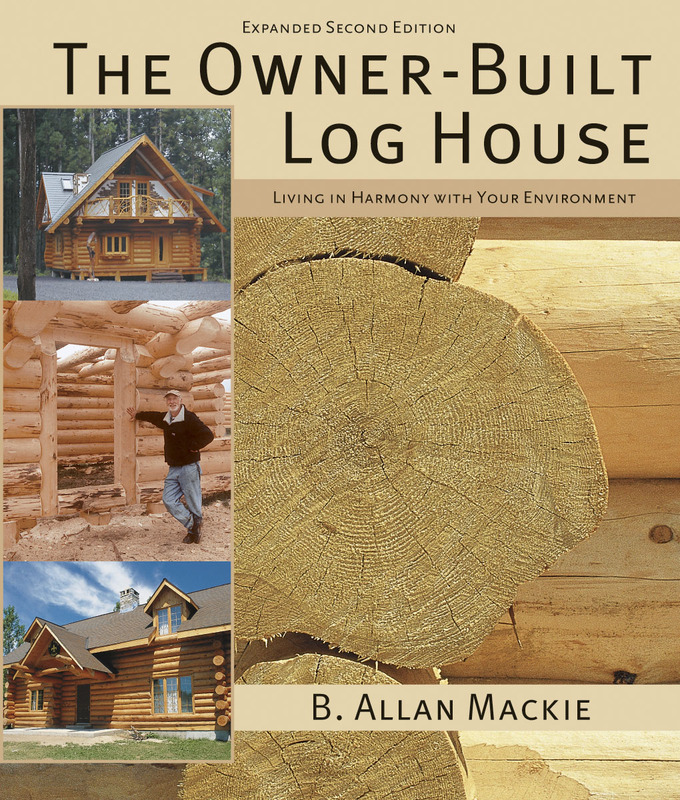 This entry was posted in Fall, Fall 2011 and tagged Allan Mackie, book, cabin, Dunchurch, log house. Bookmark the permalink.